Creating family legacies around the dinner table is fun as well as vital to our communities. 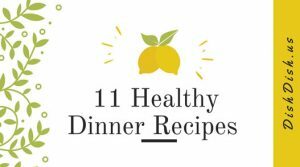 Enjoy encouraging family members to cook at home, eat healthy meals (“healthy” being somewhat subjective depending on lifestyle, allergies, and seasons of life), and enjoy spending time together around the kitchen and dinner table with these healthy dinner recipes. This meal is delicious, comes together in about 40 minutes or so, making it a perfect weeknight meal or an easy Sunday dinner. Made with ground chicken, seasoned with traditional chili seasonings as well as some cocoa for a Cincinnati flair, and served over brown rice. With low-fat cheeses, spinach and diced chicken breast, rolled up in lasagna noodles, then baked with some tomato sauce and mozzarella on top, this healthy dinner also satisfies that Italian comfort food craving. While we’re on the pasta bandwagon at the moment, here’s a healthier version of Alfredo sauce served over Fettuccine noodles. 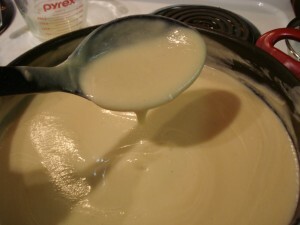 It’s made with cauliflower as the base of the sauce with seasonings, a little cream and broth (and a little Parmesan to keep the flavor true). Serving up eggs over some pan roasted asparagus for a delicious meal – breakfast any time of day, right?! 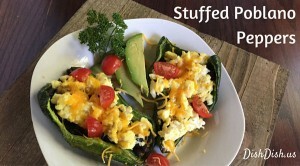 Poblano peppers filled with eggs and black beans, topped off with some cheese, diced tomatoes and sliced avocado for a filling meal that’s quick and easy. Dish up some whole wheat linguine with tomatoes, zucchini, onion and seasonings, sprinkled with a little Parmesan before serving. This chili is chock full of ground turkey, vegetables, and seasonings, and takes less than an hour to have ready to serve. Make a double portion and put some in the freezer for another time. Chunks of salmon, shrimp and vegetables fill this white wine and tomato base soup; perfect healthy dish for a cool wintry evening. Only 4 ingredients are needed for this simple baked chicken dish; enjoy the crunch of a coating made with crushed pecans and panko bread crumbs. Stir-fry chicken pieces with orange juice, honey, and stir-fry sauce and serve over fresh spinach leaves with sliced almonds. A simple main dish, these chicken drumsticks are browned in the skillet and then baked in a nutty strawberry sauce for a sweet twist. 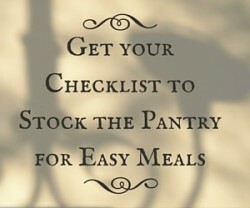 Have you been meal planning with the start of the new year? 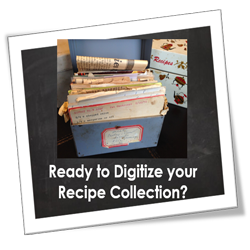 If so (or if you’re ready to get started), add some of these recipes to this week’s menu, add the ingredients to your shopping list (with one click from the recipe page), and you’ll be set to have an easy week of meals planned for the whole family to enjoy around the dinner table. 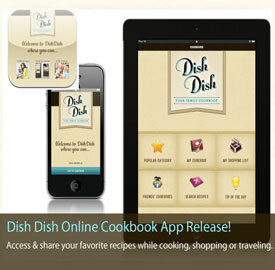 Do you have another idea for an easy healthy meal your family enjoys? We’d love hearing about it in the comments below.